Is this singing dog Machine Gun Kelly’s biggest fan? Is this dog Machine Gun Kelly's biggest fan? The music-loving pooch was recently invited up front at a show by Kells after the very good boy's owner posted a video of the pup singing along to MGK—watch it down below. Indeed, there's whole Twitter Moment going on right now thanks to MGK jokingly inviting the dog to sit front row at a performance. Obviously, the pupper's cute bellowing to a Machine Gun Kelly track on Twitter impressed the performer enough to warrant the dog-tastic shoutout. 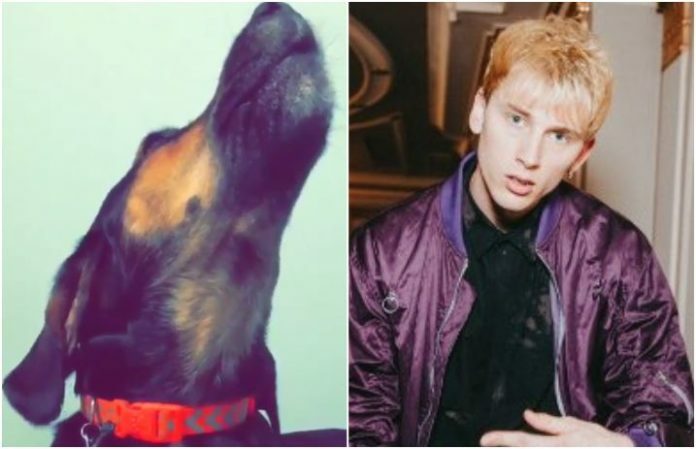 Now, other dog lovers are wondering when there'll be a collab between MGK and the dog, or possibly a canine-crooning feature on the next Machine Gun Kelly album. We're all for it.